At first glance, “lifeworld” seems to play an important role in history didactics. It is important to adjust history lessons to the group of people who are being addressed. In order to be able to appeal to those people, one must pick them up from where they currently stand. But what is actually meant by lifeworld and is the term itself even relevant today? In colloquial terms, lifeworld refers to the area in which the individual naturally operates. It comprises routine practices in which a well-established set of attitudes reproduces itself. This set varies from person to person, but it also includes an overlap of activities, self-images and external images, which are shared amongst a group of like-minded people. Lifeworld, therefore, is world for me and world for us. This concept is difficult for historians, as it initially appears static and therefore timeless. Because it aligns itself with routine practices, it lays emphasis on endurance, not change. If, in the meantime, we assume that lifeworlds change, the question arises of why this happens. Those who support the hypothesis of the linguistic turn or think system-theoretically can argue that routines always remain imprecise so that they provide room for maneuver or, like any construction, are subject to what is known as entropy. This refers to the dissolution of all rules and regulations accounted for by people that inevitably occurs as soon as they no longer appear to be adhered to. For Marxists, the routines that constitute the lifeworld are a consequence of superstructure phenomena of socio-economic development, which take place in revolutionary leaps. Neo-realism and the actor-network theory will advocate the self-guidance of the individual, which external guidance relativizes via practices and objects. In the context of all three arguments, the lifeworld becomes historical. Speaking in favor of the colloquial term “lifeworld” is the fact that it opposes the neglection of the micro-level individual subject in favor of the macro levels of economy, society, and politics. On a side note, laying focus on the individual is also important from a pragmatic point of view, as lesson preparation for example always considers the input conditions – the lifeworld – of specific pupils. In general, these conditions vary according to age and socialization and include not only prior knowledge in history as a subject, but also life circumstances. Teaching subjects are to be put up for discussion accordingly, thereby meaning that they are to be placed in the form of a question and customized in terms of content. However, I would use the term “everyday world” instead of “lifeworld,” because “everyday history” and “historical anthropology” already employ the former, seeing as how “lifeworld” is used in philosophical circles. The term itself originates from the life philosophy of Dilthey that for its part constitutes a variant of the humanistic school to which historicism also belongs. Husserl and Merleau-Ponty developed this further, adding that lifeworld is the field of vision where the subject has its experiences and that, at first, this always happens “originally,” “purely,” and “naturally,” before both the interest in knowledge and scientific theories set in. Because these would distort the pure experience, the subject must at first consciously refrain from applying them. Put in an operational manner, the subject watches before it analyzes and interprets. Through this pure experience, the subject becomes one with the object. From a constructivist point of view however, the individual is a self-referential system: The world image of a person arises from its thinking patterns, which it obtains on one hand through its socialization and on the other hand within the contexts of solidary negotiation or of power where sanctions are regularly imposed, which take hold when routines fail. In such circumstances, there is no pure experience. It is possible that subject and object, individual and world, are one and that they constitute a joint lifeworld as long as both operate within a common field of vision that incorporates history, tradition, and culture. In phenomenology, this is known as a cultural resource of meaning, which comprises among other things language, values, norms, and behavior patterns, all of which are carried out and lived by without being challenged. Rüsen picks up on this when he emphasizes the construction of the constructors. By this, he means that people shape their environment and develop their own ideas whilst at the same time having to always come to terms with them or, rather, try and profit from what previous generations have left them behind. In socialization, education, and educational science, a cultural transfer takes place. For me, a social-constructivist approach such as this is not problematic. However, the philosophical, humanistic, and phenomenological mindset hypothesizes about the existence of “invariant irrelative structures,” “which can be attained as an unbreakable world form through the method of essence.” This world form is human experience, the spirit, the humanity, which is congenially inherent in all people and their works. Out of pure experience, this entity constitutes itself intuitively and shows the original essence of the objective world and of the subject likewise. Moreover, the historical-cultural comparison also helps to arrive at the essential core of the phenomena. The core is unchangeable, meaning that it possesses a metaphysical character, yet it constantly manifests itself differently when necessary. By means of this hypothesis, it is possible to connect diversity and congeniality harmoniously. Ultimately, the term “lifeworld” cannot deny its metaphysical character and its creationist-theological origin. To hypothesize about the existence of an essential core behind the phenomena would be to devalue the phenomena themselves. Universals curtail subjective self-will, change, and emancipation. That all people are congenially connected to one another has been made unthinkable, not least by the crimes of National Socialism, for can victims and perpetrators meaningfully be kindred spirits as humanistic philosophy assumed? Which conception of humankind is purported to be behind the assumption of anthropological constants or of universals? At any rate, it is not Gehlen’s “deficient being.” As such, people are forced to construct their own cultural world for themselves in order to survive. Views of history are also embedded in these constructions. Therefore, historical awareness is nothing intrinsic, but the knowledge of how and why people create an image of the past. Views of history become negotiable when their site-dependency becomes acknowledged. The term “lifeworld” is hardly compatible with historical thinking, because it ignores site-dependency and change. Berger, Peter L., and Thomas Luckmann. Die gesellschaftliche Konstruktion der Wirklichkeit. Eine Theorie der Wissenssoziologie. Frankfurt am Main: Fischer, 1982. Schreiber, Waltraud. 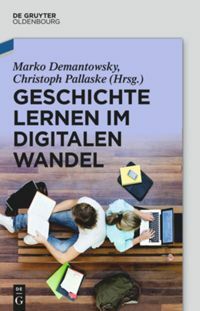 “Historisches Lernen und Lebenswelt.” In Phänomenologische Dimensionen der Bildungsanthropologie. Interdisziplinäre Forschungsbeiträge im Fokus ethischer Verantwortlichkeit, edited by Barbara Weber, und Maria-Anna Bäuml-Roßnagl, 311-323. Regensburg: Roderer, 2005. Sauer, Michael. Geschichte unterrichten. Eine Einführung in die Didaktik und Methodik. Stuttgart: Klett, 2007. Wheeler, Michael. “Martin Heidegger.” The Stanford Encyclopedia of Philosophy (Fall 2017 Edition), https://plato.stanford.edu/heidegger/ (last accessed 6 december 2018). Schwabe Online. “Historisches Wörterbuch der Philosophie online. Lebenswelt.” https://www.schwabeonline.ch/schwabe-xaveropp/(last accessed 6 december 2018). William H. Sewell, Logics of History. Social Theory and Social Transformation (Chicago: Chicago Studies, 2005). Theodor W. Adorno, “Einleitung,” in Der Positivismusstreit in der deutschen Soziologie, ed. Theodor W. Adorno (Darmstadt/Neuwied: Suhrkamp, 1972), 7-79. Hubert Dreyfus and Charles Taylor, Die Wiedergewinnung des Realismus (Berlin: Suhrkamp, 2016), 59f. Hans Süssmuth, Historische Anthropologie. Der Mensch in der Geschichte (Göttingen: Vandenhöck & Ruprecht, 1984). Paul Janssen and Wilhelm E. Mühlmann, “Lebenswelt,” in Historisches Wörterbuch der Philosophie, ed. Joachim Ritter, Karlfried Gründer, and Gottfried Gabriel (Basel: Schwabe Verlag, 2017). Jörn Rüsen, Historik. Theorie der Geschichtswissenschaft (Köln/Weimar/Wien: Böhlau Verlag, 2016), 87. Arnold Gehlen, Der Mensch. Seine Natur und seine Stellung in der Welt (Bonn: Aula, 1950). Jörg van Norden, Geschichte ist Bewusstsein. 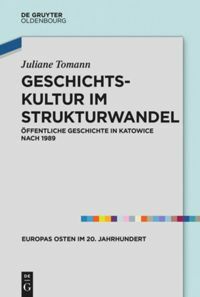 Historie einer geschichtsdidaktischen Fundamentalkategorie (Frankfurt am Main: Wochenschau Verlag, 2018), 315-317. “Die drei Menschenalter” in Oberhausen main station © CC BY-SA 3.0 Markus Schweiss, via Wikimedia Commons. Norden, Jörg van: On the Difficulties of the Term “Lifeworld”. 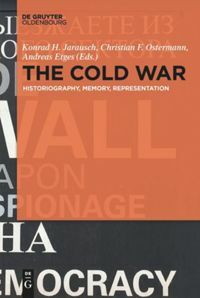 In: Public History Weekly 7 (2019) 2, DOI: dx.doi.org/10.1515/phw-2019-13234. „Lebenswelt“ scheint auf den ersten Blick eine große Rolle in der Geschichtsdidaktik zu spielen. Es ist wichtig, Geschichtsvermittlung an dem Personenkreis auszurichten, an den man sich wendet. Um jene Personen ansprechen zu können, muss man sie dort abholen, wo sie sind. Aber was ist unter Lebenswelt eigentlich zu verstehen und ist der Begriff überhaupt noch zeitgemäß? Alltagssprachlich gebraucht, bezeichnet Lebenswelt den Bereich, in dem sich der/die Einzelne selbstverständlich bewegt. Er umfasst routinierte Praktiken, in denen sich ein bewährtes Set an Einstellungen reproduziert. Dieses Set ist individuell verschieden, umfasst aber auch eine Schnittmenge von Handlungen, Rollenselbst- und Rollenfremdbildern, die von einer Gruppe Gleichgesinnter geteilt werden. Lebenswelt ist also Welt für mich und Welt für uns. Schwierig ist dieses Konzept für die Historiker*innen, weil es auf den ersten Blick statisch und damit zeitlos wirkt. Weil es auf routinierte Praktiken ausgerichtet ist, setzt es auf Dauer und nicht auf Wandel. Wenn man indes davon ausgeht, dass Lebenswelten sich verändern, stellt sich die Frage, warum dies geschieht? Wer sich im Denkmodell des linguistic turn bewegt oder systemtheoretisch denkt, kann argumentieren, dass Routinen stets unpräzise bleiben, sodass sie Handlungsspielräume bieten oder wie jede Konstruktion der Entropie unterliegen. Mit Entropie ist der Zerfall aller von Menschen verantworteten Ordnungen gemeint, der unvermeidlich einsetzt, sobald sie nicht mehr handelnd bestätigt werden. Für die Marxist*innen folgen die Routinen, die Lebenswelt ausmachen, als Überbauphänomene der sozio-ökonomischen Entwicklung, die sich revolutionären Sprüngen vollzieht. Der Neorealismus und die Akteur-Netzwerk-Theorie werden die Selbstführung des/der Einzelnen ins Feld führen, die die Fremdführung durch die Praktiken und Gegenstände relativiert. In allen drei Argumentationszusammenhängen wird Lebenswelt geschichtlich. Für den alltagssprachlichen Begriff von Lebenswelt spricht, dass er sich gegen die Vernachlässigung der Mikroebene des einzelnen Subjekts gegenüber der Makroebenen Ökonomie, Gesellschaft und Politik wendet. Der Blick auf das Individuum ist übrigens auch pragmatisch wichtig, denn zum Beispiel fragt Unterrichtsvorbereitung immer nach den Eingangsbedingungen, der Lebenswelt, der konkreten Schüler*innen. Diese Bedingungen sind in der Regel alters- und sozialisationsbedingt. Zu ihnen gehören nicht nur Vorkenntnisse im Fach Geschichte, sondern auch Lebensumstände. Unterrichtsgegenstände sind entsprechend zu thematisieren, also in eine Frage zu fassen und inhaltlich zuzuschneiden. Allerdings würde ich anstelle von “Lebenswelt” die Bezeichnung “Alltagswelt” verwenden, deren sich die “Alltagsgeschichte” und die “Historische Anthropologie” bereits bedienen, weil “Lebenswelt” philosophisch besetzt ist. Der Begriff entspringt nämlich der Lebensphilosophie Diltheys, die ihrerseits eine Variante der geisteswissenschaftlichen Schule darstellt, zu der auch der Historismus gehört. Husserl und Merleau-Ponty knüpften hier an: Lebenswelt sei der Horizont, in dem das Subjekt seine Erfahrungen mache. Dies geschehe immer erst einmal ‘ursprünglich’, ‘rein’ und ‘natürlich’, das heißt, bevor Erkenntnisinteressen und wissenschaftlichen Theorien greifen. Weil sie die reine Erfahrung verfälschen würden, müsse das Subjekt zunächst bewusst von ihnen absehen. Operational formuliert, beobachtet es, bevor es analysiert und interpretiert. In der reinen Erfahrung werde das Subjekt eins mit dem Objekt. Konstruktivistisch gesehen ist das Individuum aber ein selbstreferentielles System: Das Weltbild des Menschen ergibt sich aus seinen Denkmustern, die er einerseits im Rahmen seiner Sozialisation erwirbt und andererseits in solidarischen Verhandlungs- oder sanktionsträchtigen Machtzusammenhängen, die greifen, wenn Routinen scheitern. Reine Erfahrung gibt es dann nicht. Dass Subjekt und Objekt, Mensch und Welt, eins sind und eine gemeinsame Lebenswelt konstituieren, ist möglich, solange sich beide in einem gemeinsamen Horizont von Geschichte, Tradition und Kultur bewegen. Die Phänomenologie spricht hier von einer kulturellen Sinnressource, zu der unter anderem Sprache, Werte und Normen sowie Verhaltensweisen gehören, die unhinterfragt gelebt werden. Rüsen greift dies auf, wenn er die Konstruiertheit der Konstrukteure betont. Er meint damit, dass Menschen ihre Umwelt gestalten und eigene Ideen entwickeln, aber stets mit dem zu Recht kommen müssen beziehungsweise von dem profitieren können, was frühere Generationen ihnen hinterlassen. In Sozialisation, Bildung und Erziehung findet ein Kulturtransfer statt. Ein solcher sozialkonstruktivistischer Ansatz ist für mich unproblematisch. Die lebensphilosophische, geisteswissenschaftliche und phänomenologische Denkart geht aber von “invariante(n)-irrelative(n) Stukturen” aus, “die als unzerbrechliche Weltform in der Methode der Wesensschau gewonnen werden können”. Diese Weltform sei das menschliche Erleben, der Geist, das Humanum, das allen Menschen und ihren Werken kongenial innewohnt. In der reinen Erfahrung konstituiere sich diese Einheit intuitiv und zeige das ursprüngliche Wesen der objektiven Welt und des Subjekts gleichermaßen. Auch der geschichtlich-kulturelle Vergleich helfe, zum Wesenskern der Phänomene zu gelangen. Der Kern sei unveränderlich, hat also metaphysischen Charakter, aber performiere sich je nach dem immer wieder anders. Mit Hilfe dieser Annahme gelingt es, Diversität und Kongenialität harmonisch zu verbinden. Der Begriff “Lebenswelt” kann letztlich seinen metaphysischen Charakter und seinen schöpfungstheologischen Ursprung nicht verleugnen. Einen Wesenskern hinter den Erscheinungen anzunehmen, entwertet die Erscheinungen selbst. Universalien verkürzen subjektiven Eigensinn, Veränderung und Emanzipation. Dass alle Menschen kongenial miteinander verbunden sind, haben nicht zuletzt die Verbrechen des Nationalsozialismus undenkbar gemacht, denn können Opfer und Täter sinnvoller Weise eines Geistes Kind sein, wie es die geisteswissenschaftliche Philosophie annahm? Welches Menschenbild sollte hinter der Annahme anthropologischer Konstanten oder von Universalien stehen? Das Mängelwesen Gehlens ist es zumindest nicht. Als solche sind Menschen gezwungen, sich kulturschaffend ihre eigene Welt zu konstruieren, um zu überleben. Zu ihren Konstruktionen gehört auch das Geschichtsbild. Geschichtsbewusstsein ist dann nichts Wesenhaftes, sondern das Wissen der Menschen davon, wie und warum sie sich ein Bild von der Vergangenheit machen. Geschichtsbilder werden verhandelbar, wenn man ihre Standortgebundenheit anerkennt. Der Begriff Lebenswelt ist mit historischem Denken schwer vereinbar, weil er Standortgebundenheit und Wandel ausklammert. Wheeler, Michael. “Martin Heidegger.” The Stanford Encyclopedia of Philosophy (Fall 2017 Edition), https://plato.stanford.edu/heidegger/ (letzter Zugriff 06. Dezember 2018). Schwabe Online. “Historisches Wörterbuch der Philosophie online. Lebenswelt.” https://www.schwabeonline.ch/schwabe-xaveropp/(letzter Zugriff 06. Dezember 2018). Hubert Dreyfus und Charles Taylor, Die Wiedergewinnung des Realismus (Berlin: Suhrkamp, 2016), 59f. Die drei Menschenalter im Hauptbahnhof von Oberhausen © CC BY-SA 3.0 Markus Schweiss, via Wikimedia Commons. Norden, Jörg van: Von der Schwierigkeit des Begriffs “Lebenswelt”. In: Public History Weekly 7 (2019) 2, DOI: dx.doi.org/10.1515/phw-2019-13234. Alltagswelt oder Lebenswelt und Lebenslage oder Soziosphäre und Alltagsleben? Jörg van Norden problematisiert nachvollziehbar den Begriff “Lebenswelt” aufgrund dessen philosophischer Traditionen der Begriffsverwendung und plädiert für die Bezeichnung “Alltagswelt”. 2) Gibt es außer “Alltagswelt” weitere diskussionswürdige Alternativbegriffe? Im Folgenden skizziere ich ein paar Gedanken, wie aus meiner Lebenswelt heraus mögliche Antworten aussehen könnten. Eine Begriffsinflation und Beliebigkeit in der Rede von “Lebenswelt” hat Björn Kraus für das Feld der Sozialen Arbeit konstatiert. Er reagiert – nach Referat der philosophischen Karriere des Begriffs – mit einer systemisch-konstruktivistischen Reformulierung. Hierzu nutzt er den (ebenfalls historisch aufgeladenen bzw. festgelegten) Begriff “Lebenslage” zur definitorischen Abgrenzung. “Lebenswelt” fasst Kraus als “das unhintergehbar subjektive Wirklichkeitskonstrukt eines Menschen”; “Lebenslage” als materielle und immaterielle Lebensbedingungen, unter denen der Mensch seine Lebenswelt konstruiere. Ein solcher Ansatz verdeutliche, so Kraus, dass es bei einer “Lebensweltorientierung” sozialer Arbeit nicht ausreiche, die Rahmenbedingungen des Lebens eines Menschen in den Blick zu nehmen, sondern der Fokus (auch) darauf liegen müsse, wie ein Mensch seine Lebenslage selbst wahrnehme. Scheint eine solche Reformulierung nicht potentiell auch für ein geschichtsdidaktische Verständnis von “Lebensweltorientierung”, das Subjektivität und Diversität berücksichtigt, anschlussfähig? Nicht nur mit Blick auf die Praxis universitärer Lehre lässt sich jedoch argumentieren, dass eine Markierung “Ich verwende Lebenswelt i.S. von Kraus” aufgrund der philosophischen Karriere des Begriffs viel zu umständlich sei. Dann würde – trotz einer solchen Möglichkeit der Reformulierung – eher ein Bedarf für einen Alternativbegriff bleiben. Der Vorschlag im Initialbeitrag lautet hier: “Alltagswelt”. Aber erweist sich nicht der Begriff “Alltagswelt” – angesichts philosophischer und soziologischer Konzepte von “Alltag” – womöglich auch als hochgradig aufgeladen? Bräuchte es nicht als Alternative dann einen Begriff mit weniger Begriffsgeschichte? Vergleichsweise wenig besetzt, aber womöglich hilfreich erscheint mir der Begriff “Soziosphäre”. Angelehnt an den Soziologen Martin Albrow bezeichnet “Soziosphäre” bei einem Menschen die Muster sozialer Aktivitäten der Realisierung von Lebensentwürfen. Diese Bewegungs- und Handlungsmuster erstrecken sich individuell – aufgrund verschiedenartig ausgeprägter Beziehungsnetzwerke – auf unterschiedliche zeitliche, räumliche (analog und digital) und personale (kulturell-soziale) Radien. Soziosphären verschiedener Menschen können parallel zueinander liegen, sich aber auch überlappen. Gedacht ist der Begriff vor allem, um Phänomene der Kosmopolitierung der Lebensführung zu fassen. Innerhalb einer “Soziosphäre” gibt es – im Wechselspiel von Routine und situativer Pragmatik – ein individuelles Alltagsleben. “Soziosphäre” könnte somit als Überbegriff dienen, um sowohl Lebensumstände als auch Lebenswahrnehmung/Lebensentwurf sowohl soziale Vernetzung als auch Radien der Lebensführung sowohl Rollenhandeln im geografischen Nahraum als auch User*innen-Handeln im digitalen Raum sowie deren jeweilige Korrelationen zu bezeichnen. Dies ermöglicht etwa auch, hermetischere und offenere Soziosphären zu skalieren – und darüber den Begriff der “Öffentlichkeit” (etwa bei “Geschichtskultur”) zu differenzieren (vgl. Diskussionen zu “filter bubbles” oder “political tribalism”). Zugegebenermaßen wirkt “Soziosphäre” als Begriff unzugänglicher, ja weitaus weniger umgänglich als “Alltagswelt”. Aber vielleicht liegt gerade darin das Potential, sowohl Missverständnisse in der theoretischen Verwendung als auch Formen zu oberflächlicher Verwendung in der schulischen Praxis (“aufgesetzte Lebensweltorientierung”) zu vermeiden? Ich fände es interessant, dies vertiefend zu diskutieren. Vgl. Björn Kraus: Lebenswelt und Lebensweltorientierung – eine begriffliche Revision als Angebot an eine systemisch-konstruktivistische Sozialarbeitswissenschaft. In: Kontext. Zeitschrift für systemische Therapie und Familientherapie 37(2) (2006), S. 116-129, hier S. 116. Vgl. etwa Christine Nippe: Kunst der Verbindung. Transnationale Netzwerke, Kunst und Globalisierung. Berlin: LIT 2006, S. 32. Vgl. etwa Christa Berger, Bruno Hildenbrand, Irene Somm: Die Stadt der Zukunft. Leben im prekären Wohnquartier. Wiesbaden: Springer 2002, S. 172. Lebenswelt – ein durchaus zeitgemäßer Begriff! Die Gewissheit, mit der Jörg van Norden den hier phänomenologisch verstandenen Lebensweltbegriff zu dekonstruieren sucht, fordert heraus. Selbstverständlich kommt es darauf an, von welcher Referenzliteratur her die weit reichenden Bewertungen vorgenommen werden. Es lohnt sich daher, die Kritisierten selbst zu Wort kommen zu lassen: Erfahrung ist für Husserl, zumindest wie ich ihn verstehe, eben nicht “‘ursprünglich’, ‘rein’ und ‘natürlich'”. “Das aus wiederholter Erfahrung Wohlbekannte ist”, so Husserl, “doch unweigerlich in allem von ihm Bekannten nur relativ bekannt und hat also in allem einen eigenartigen Horizont offener Unbekanntheit. Es gibt also, zum Erfahren selbst modal gehörig, immer so etwas wie ein näher an die Sache Herankommen, sie genauer kennenlernen, und darin liegt unter dem Titel ‘genauere Bestimmung’ eine kontinuierlich mögliche Korrektur […] So erst recht in der Vergemeinschaftung unseres Erfahrungslebens mit dem unserer Mitmenschen. Jeder von uns hat seine eigenen Erfahrungsvorstellungen, aber in der normalen Gewissheit, dass jeder Anwesende dieselben Dinge erfährt und im vermöglichen Gang seines Erfahrens dieselben ähnlichen Eigenschaften kennenlernen kann. Das betrifft also die alltägliche Gemeinwelt, in welcher unser normales praktisches Leben sich ganz abspielt. Alles, was uns da als wirklich seiend gilt, ist immer schon als für alle seiend verstanden, eben aus gemeinsamer Erfahrung. Und nicht nur jede hier als identifizierbar geltende Bestimmung steht in einem Horizont offen möglicher näherer Bestimmung, jedes steht auch über das Mit-Wahrgenommene und schon Mit-Bekannte an Erfahrungsobjekten (hinaus) in einem offenen Horizont noch, und ins Endlose unbekannter Dinge, Dinge möglicher Erfahrungserkenntnis. Dem entsprechen nun auch die zu vagen Dingen gehörigen Horizonte der ebenfalls nur vagen Kausalitäten; sie sind, soweit sie von der Erfahrung her in Bestimmtheit bekannt geworden sind, bezogen auf die in ungefährer Bestimmtheit erfahrenen Umstände und Umstandsänderungen und haben zudem ihren Horizont noch völlig unbestimmter Kausalitäten, bezogen auf den Horizont der unbekannten äußeren Dinge. Was Husserl hier meiner Ansicht nach beschreibt, ist die Art und Weise, wie Menschen, die sozial miteinander verbunden sind, einerseits allein, dann aber auch intersubjektiv ihre Welt als eine wahre Welt entwerfen, in der sie, andere Möglichkeiten ignorierend, kompetent agieren. Diese Welt ist gleichzeitig immer auch eine vage Welt, eine Welt in der Schwebe und deshalb weiteren Möglichkeitshorizonten. Aufgrund des permanenten Schwebezustands der Erfahrungshorizonte als Möglichkeitshorizonte ist Wandel jederzeit möglich. Die gemeinsam konstruierte und intersubjektiv wahre komplexitätsreduzierte Welt ist ein “Entwicklungsprodukt”, “nach dessen Ursprungsmotiven und ursprünglicher Evidenz gefragt werden muss”. Damit wird die Lebenswelt als erlebte und erfahrene Sinnkonstruktion erkennbar und für die Geschichtsdidaktik interessant: Nicht allein als Rahmenbedingung historischen Lernens, sondern als eine Möglichkeit, sich dem In-der-Welt-Sein des Menschen und seiner Hinwendung zur Welt als einem ihn handlungsfähig machenden Wesen zu nähern. Gleichzeitig erweisen sich diese Handlungsfähigkeiten als beschränkt, weil die Sicht auf die Welt pragmatisch begrenzt ist; schließlich muss ein Schwebezustand tragfähig gestaltet werden. Die Lebenswelt als Entwicklungsprodukt zu beschreiben, lässt eine historische Dimension aufscheinen, die analysiert und reflektiert werden kann. Damit kommt die Lebenswelt als “Konstitution”, als Sein in der Welt und nicht nur als ein bloß zu beschreibendes in den Blick. Geschichtsdidaktisch relevant wäre dann die Frage: Erweitert unser gemeinsamer Erfahrungshorizont als ein historisch zu beschreibender unsere Handlungsmöglichkeiten in einer sich wandelnden Welt oder schränkt er uns eher ein? So gesehen sucht die Geschichtsdidaktik dann nicht mehr nach den Vor- oder Unlogiken des Denkens, sondern nach den Logiken in den Handlungen der Menschen. Sind diese identifizierbar, kann nach den historischen Bezugspunkten dieser Handlungslogiken gesucht werden, um sie mit Blick auf ihre Plausibilität in der Gegenwart sowie ihre prinzipielle Zukunftsfähigkeit kritisch zu hinterfragen. Menschen können so über die Historizität ihres Handelns aufgeklärt werden. Das erlaubt ihnen, sich beobachtend zu sich selbst zu verhalten und danach zu fragen, was am eigenen Verhalten bleiben soll und was sich, um einer guten gemeinsame Zukunft Willen, die eben auch von Menschen mit anderen Erfahrungshorizonten geteilt wird, ändern soll. Die Evidenz der selbst erlebten und deshalb zu erinnernden Lebenswelt zeigt sich gegenüber den logisch-abstrakten wissenschaftlichen Evidenzen resistent. Das Handlungswissen des Menschen in seiner jeweiligen Lebenswelt ist immer schon historisch evident als sedimentierte (präsente) Geschichte, im Rahmen derer Vergangenheit, Gegenwart und antizipierte Zukunft deckungsgleich sind. Worum es beim historischen Lernen also gehen sollte, das ist, die Zukunftsfähigkeit der aktuellen Evidenzen mit Hilfe elaborierter (abständiger) Geschichte zu thematisieren und zu reflektieren, damit sich der Mensch über seine Verantwortung für sich selbst, seine Gemeinschaft und die Gesellschaft klarer werden kann. Edmund Husserl, “Das Problem der Lebenswelt,” in Phänomenologie der Lebenswelt. Ausgewählte Texte II, hrsg. von Demselben (Ditzingen: Reclam, 1992), S. 220-300, hier S. 268-269. Dies muss nicht auf eine historistische Denkweise reduziert werden. Als ‘Entwicklungsprodukt’ kann die Erfahrungswelt auch diskursanalytisch oder im Rahmen der Postkolonialen Studien untersucht werden. Maurice Merleau-Ponty, Phänomenologie der Wahrnehmung (Berlin: De Gruyter, 1965), S. 84. Husserl, “Das Problem der Lebenswelt,” S. 284. Bärbel Völkel, Inklusive Geschichtsdidaktik. Vom inneren Zeitbewusstsein zur dialogischen Geschichte (Schwalbach/Ts. : Wochenschau-Verlag, 2017). « Groot Constantia: Wine or Slaves?